This Well Water Filtration System includes a Chemical Feeder a Retention Tank a 7" Terminox™ ISM Filter a 30,000 Grain Capacity On Demand Water Softener and a Reverse Osmosis Unit to provide you with clean soft water throughout the entire house. No matter what problem you have with your well water, we have a system for you. Be sure to check with a water quality technician by phone or e-mail to be certain you are ordering the correct treatment system. 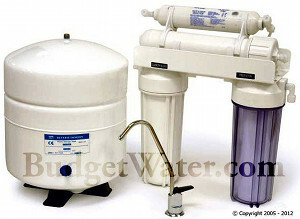 The complete iron filter unit is chemical and maintenance free.